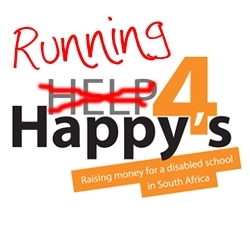 Josh Bullock is going to run the White Peak Marathon on the 18th May 2013 in aid of the South Afica trip to visit Help4Happy's in the Summer of 2013. He has decided that if he wants to raise a good amount of money then it would have to be something crazy so here it is...26 miles of hill running! He is going to train hard up until May and gain as much sponsorship as possible for the marathon. Funds raised will go toward getting Josh to Africa to help Happy's, and toward resources and wheelchairs for the young people at the orphanage. This truly is inspiring work and we hope that we can help him to gain as much support as possible. A Massive Thank You to everyone that sponsored Josh on his 26 Mile Marathon, we are still working out the total amount raised but we will release it once we have totalled it up.